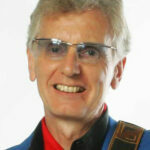 Born In Liverpool Paul has worked in Television and music for almost 50 years. He has written and published 3 biographies – two for television and has been nominated for a British Academy Award. He has also written a series of eight books on musical instruments and is a contributor to The Penguin Encyclopaedia of Popular Music. I have given talks to a wide range of age groups. I illustrate musical talks with live performance on guitar, bass and drums.